This week our accessions have all come from former staff of the Western General Hospital. They chronicle important developments at the Hospital which rather than being a general hospital in the traditional sense, has built up a number of specialist units such as the coronary and gastrointestinal units, and regional units for radiotherapy and neurosurgery. Regular readers will be familiar with the Norman Dott cataloguing project currently underway and we imagine that Project Archivist Louise will be delighted to return from annual leave to find 1950s Norman Dott letters and plans relating to the building of the DCN (Division of Clinical Neurosciences) Building which he designed! 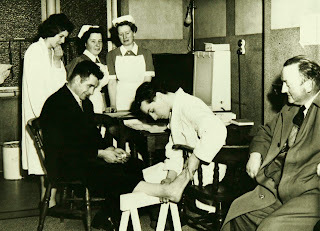 Papers and photos of physiotherapy training, and newscuttings relating to the professionalisation of physiotherapy make up this great accession. During the late 19th century, the problem of mental illness became more acute in Edinburgh and as the Royal Edinburgh Hospital (REH) became very overcrowded, so a new psychiatric hospital was proposed in woodland on the Bangour estate, near Uphall and Bathgate, some 14 miles from Edinburgh. The first patients were transferred from the REH in 1904 and Bangour Village Hospital officially opened in 1906; at this time most of the buildings were only of temporary construction. An array of various residential buildings, a shop and church were constructed on the site over a number of years. From 1915-1922 and 1939-1945, the Hospital was taken over by the War Office for use by military patients. 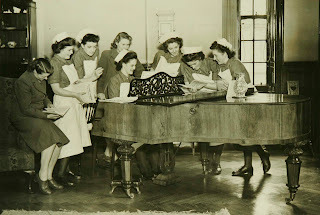 During this period, it is common in the records to see asylum patients being moved in groups from the Hospital to other asylums, and then returned after the wars. 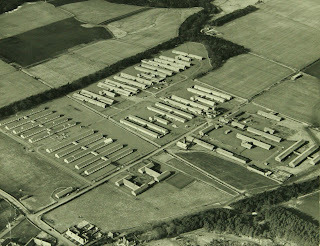 During the Second World War, an annexe of huts was built to house more military patients, which remained open to civilians after 1945, as Bangour General Hospital. Norman Dott carried out some of his pioneering neurosurgery work from here and his case note records are now being catalogued at LHSA, as reported in previous blogs. Other areas of specialist treatment developed at the General Hospital included tuberculosis, plastic and facio-maxillary surgery and thoracic surgery. 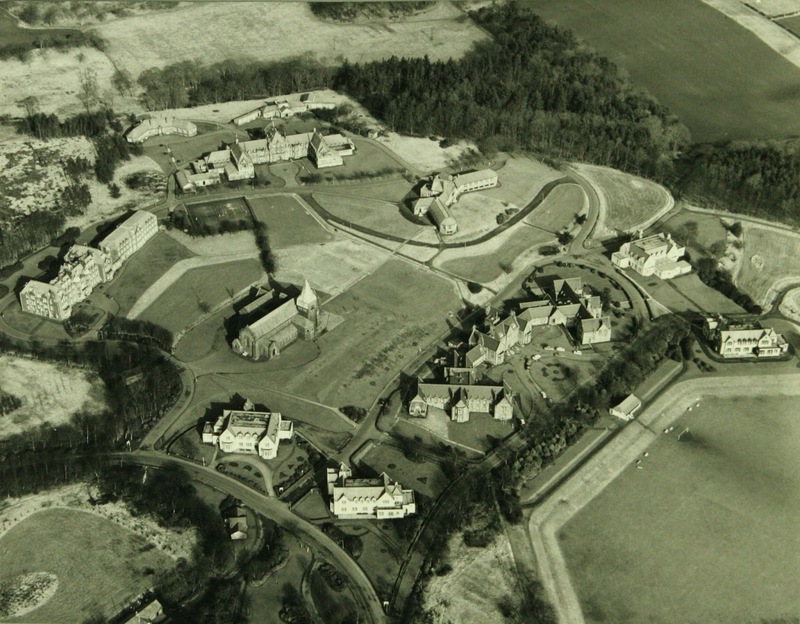 In 1948 under the organisation of the NHS, the Bangour hospitals came under the West Lothian Hospitals Board of Management and from the 1950s, the Village Hospital took in patients from the West Lothian area as well as from Edinburgh. In 1989, St John’s Hospital opened in Livingston and services began to be transferred there from Bangour General Hospital, with the latter closing in the early 1990s. The practice of institutionalising psychiatric patients declined rapidly in the late 20th century and Bangour Village Hospital finally closed in 2000. The site is still yet to be redeveloped and many of the buildings remain, albeit in a dilapidated condition. LHSA contains many records and photographs of staff and patients at the hospitals, catalogued under LHB40 and LHB44, preserving their memory. Next week is an important one for the Royal Edinburgh Hospital. On Friday the 19th, it will be 200 years to the day that the very first patient was admitted. LHSA have been helping the Hospital, its patients, staff and local community, celebrate the bicentenary, and two key events have been focused on this time of year. In June we took the Royal Charter to the City Chambers for a Civic Reception, and it was an opportunity to talk to the invited guests about the history of the Hospital. We were able to use the Charter as a window into that history - it’s a beautifully produced artefact from 1807 and it got a great response. Here the Charter is photographed against the backdrop of the City Chambers' list of Lord Provosts of Edinburgh, which records the Lord Provost named in the Charter itself, Donald Smith. For more information about the Charter please see our online posters. Next Friday we’re delighted to be involved in a one-day event, ‘The History Room’, in the Hospital itself. Heritage objects held by the Hospital and key documents from LHSA will be on display for those who would like to find out more about the last 200 years of this Edinburgh institution. It will also be a chance for you to share your stories and memories of the Royal Edinburgh Hospital and we hope to see you there. It’s a free event, available to all, and more details can be found here. For those of you who can’t make the 19th, we hope to repeat the display for the Hospital’s annual fete which will be in September, so watch this space! Today is the 65th anniversary of the NHS which, in Scotland, was set up as a result of the National Health Service (Scotland) Act, 1947. This was distinctive from the 1946 Act which established the service in England and Wales. 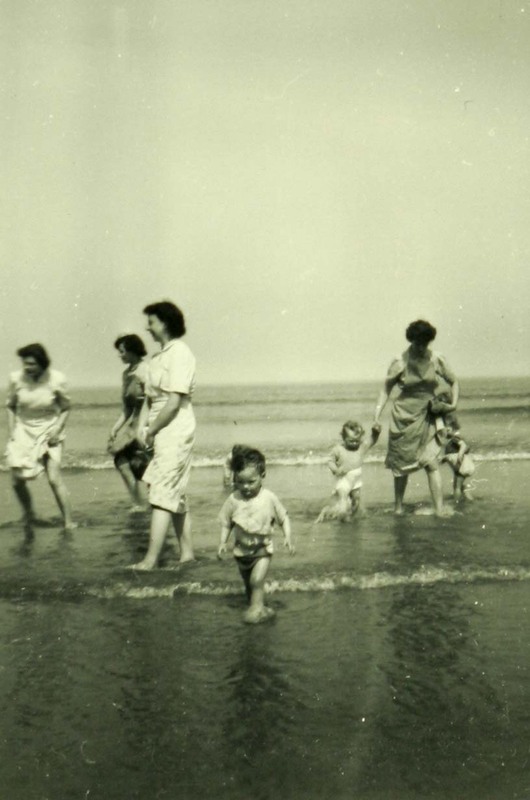 In the years immediately prior to its creation, Scotland had pioneered new forms of organised health care, such as the Highlands and Islands Medical Service (HIMS) (1913), and the Clyde Basin Experiment in Preventative Medicine (1941) which anticipated some of its provisions. Such factors combined with other features of Scottish society to create a national health service which was in many ways as distinctive as the Scottish medical culture which preceded it. Prior to the NHS, Scottish health care combined elements of voluntary, municipal, provident, private and government provision at both the hospital and community levels. Afterwards, over four hundred hospitals, with accommodation for around sixty-thousand patients, became Crown property and were formally vested in the Secretary of State for Scotland (SSS) operating through the Department of Health for Scotland (DHS). Five Regional Hospital Boards (RHB) were created to administer Scottish hospitals on a regional basis. This was accomplished through eighty-five local Hospital Boards of Management (HBM). RHBs co-ordinated various aspects of hospital services, including specialists and diagnostic laboratory facilities as well as medical research. They played a similar role in relation to ambulance services for hospitalised patients and also blood transfusion, but both services continued to be run on a voluntary basis. Hospitals in the Lothian area were administered by the South Eastern Regional Hospitals Board. The DHS also assumed overall responsibility for twenty-five Local Health Authorities (LHA) which co-ordinated a variety of community based services, including maternity and child welfare, midwifery, immunisation, vaccination and other aspects of preventative medicine, health visiting, home nursing and mental deficiency. General practitioners (GP), dentists, chemists and opticians remained self-employed. However, the DHS set up Executive Councils (EC) to arrange payment for services for NHS patients. In addition, a Scottish Medical Practices Committee (SMPC) was set up to help co-ordinate the distribution of GPs nationally. Locally, doctors' views were also represented via Medical Committees (MC). The DHS placed great emphasis upon the future co-ordination of doctors' activities through Health Centres (HC) which would be concerned with health education as well as direct patient care. Before the NHS, citizens had to pay for medical advice and treatment. Many simply could not afford this. So calling out a doctor, or going to a hospital, often became a last resort, with the result that illnesses or injuries often went untreated altogether, or became more serious than they might have been. The NHS meant that people of all classes no longer had to worry about how they would pay. Care and treatment became a right, not a privilege. The NHS has adapted and developed continuously since 1948. Almost immediately it became apparent that the need for health care in Scotland (and the UK) was enormous and that the cost of meeting it was going to be far higher than previously estimated. Many people today are quick to associate the NHS with waiting lists, prescription charges and so-called ‘postcode lotteries’. But we should never forget that the fundamental values behind the NHS still remain the same. Anyone who is sick or injured can go to a hospital or a doctor’s surgery and get the help that they need. This was not the case 65 years ago in Scotland and is unfortunately not so in many countries of the world today.